Flaccid Myeltis has been on the rise among children. The disease unfortunately has no treatment as of yet. 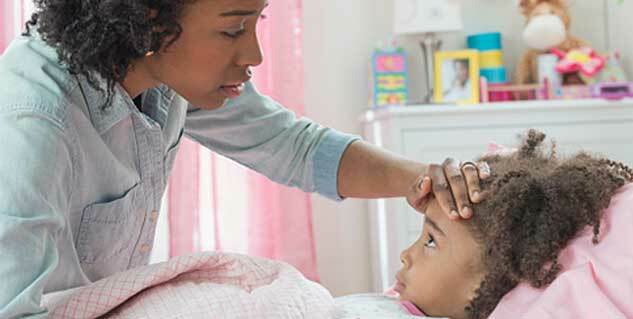 It is important to visit a doctor in case of a common virus attack, such as fever. Flaccid Myeltis is essentially a disease affecting the nervous system of the human body. The disease has now been found to be rising in children at an alarming rate, as the U.S. Centre for Disease Control and Prevention continues to research on it. The worrying factor is that they haven’t yet found a cure for this disease, and only hold an elementary knowledge regarding it. Flaccid Myeltis largely affects the spinal cord of the body, and these then results in viral infections. The affected person can feel a sudden weakness in one or more arms or legs. Additional symptoms include loss of muscle tone, and a fall in absent reflexes. Some other signs and symptoms include droopy eyes, slurred speech, or even difficulty in swallowing. Research has found Acute Flaccid Myeltis to be triggered by common viruses, which makes it even more dangerous. This means that children may seem to suffer from common fever or respiratory issues, which then swiftly develop into muscle weakness. To a parent Acute Flaccid Myeltis may seem to be a normal case of virus at start, and they often avoid the right path of action for the same. It is rather important to admit their children to a well facilitated hospital, or to consult an expert so that the cause of the virus can be quickly pointed. Now, it is common to treat children at home for such common viruses, but a delay could obstruct doctors from recognising the first crucial symptoms of Acute Flaccid Myeltis. So, in other words, delaying would not allow the triggers to be recognised; thereby further endangering the life of a child. The worrying thing is that there are no treatments for this disease as of yet, and so most parents would be left hopeless. But it is very important to rush your child to a doctor, if in case he or she any of the above signs or symptoms. The doctor can then find a way of action for this potentially dangerous disease. The good news is that this is an extremely rare disease, constituting of less than one in one million people in America so far. But then again, its consequences could be harsh, and so one must not take any risks. In the USA, Acute Flaccid Myeltis has had a confirmed 89 cases, across 33 states. But the disease is definitely on a rise. Acute Flaccid Myeltis, as experts have found, can be triggered by a variety of diseases. These include West Nile Virus, Japanese encephalitis virus, and the polio causing virus. Then those viruses which cause common cold, pneumonia, bladder infection or even gastroenteritis, cannot be ruled out. Some doctors did attempt to dissolve the problem by treating patients with corticosteroids, antiviral medications, and immune globulin therapy. However, none of them have shown any results. Perhaps the best way to prevent the disease would be to prevent the onset of virus at the first place. So, one must be vaccinated, and be very careful when going outdoors. It is important to wash hands regularly, and save oneself from mosquito bites. Covering the mouth and nose when going outdoors would also be a good idea.